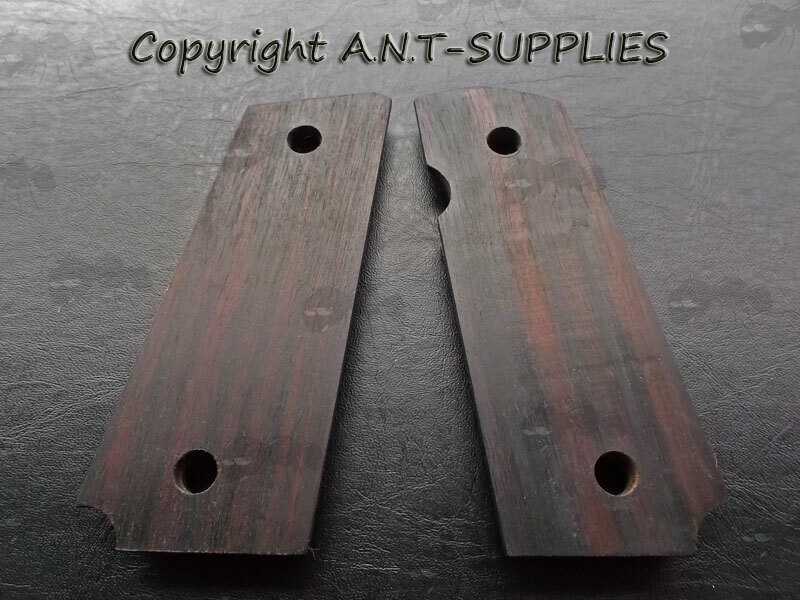 Wooden handle panels for compact 1911 pistols. These are unique grips and may vary very slightly from the photos. Beautiful grips for a compact Colt 1911. Compact Officer size grips made from indonesia ebony. The fixing holes are 6.5mm diameter and are 68mm from centre to centre. Finish ~ buffed wax to beautifully highlight the texture. 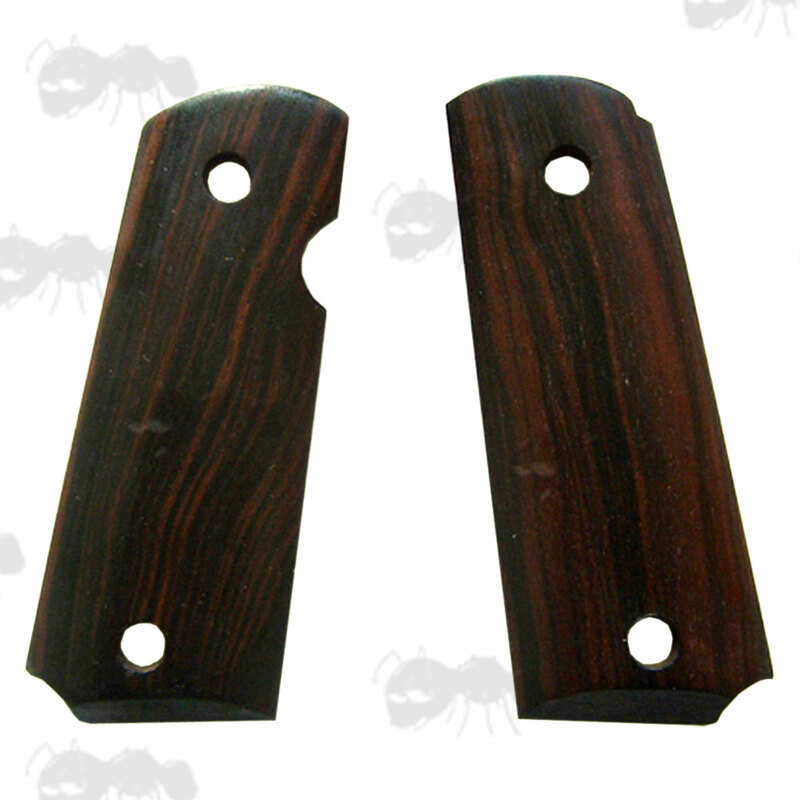 The Indonesian Ebony ~ Black with brown texture, dense enough to sink in the water. Please feel free to contact us for a shipping quote if purchasing from outside the UK. We also have Colt 1911 Commander / Government sized grips available.